The Rethinking Urban Nature project team will be at the American Association of Geographers (AAG) annual meeting 10-14 April 2018, New Orleans, USA. 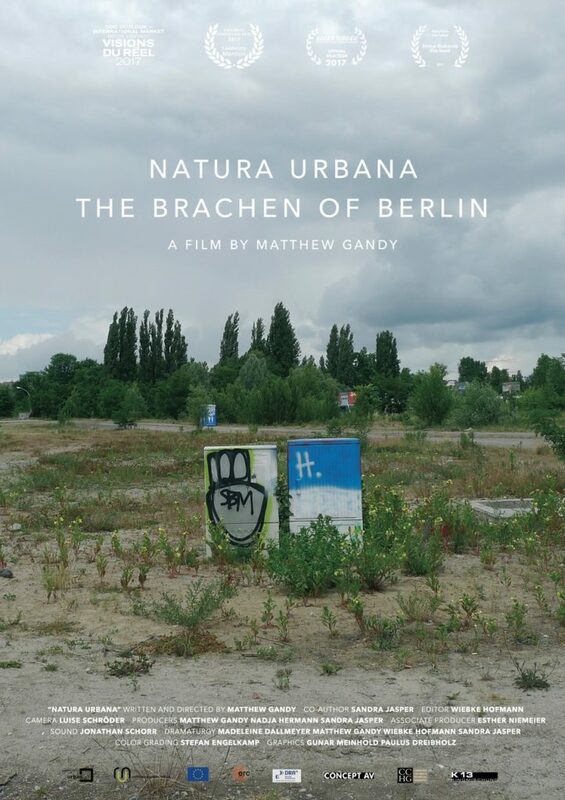 These two sessions present a range of contemporary work on “urban nature” derived from research cross a range of different scales and contexts. The meaning of “urban ecology”, for example, is undergoing a transition that marks a more critically reflective and interdisciplinary approach to “urban political ecology” including new forms of methodological innovation derived from DNA sequencing, phenomenology, ethology, filmmaking, and other fields. Questions of agency are being re-framed to develop dialogues between other-than-human natures and the so-called “new materialisms” including stratigraphic conceptions of space and time. Specific facets of the urban landscape such as wastelands, hydrological imaginaries, and spaces of collective memory are being re-framed as a set of embodied and intersecting socio-ecological realms. How are we to make sense of this kaleidoscope of different entities and entanglements? How does the de-centering of urban environmental discourse from the bounded human subject play out? Sandra Jasper, University of Cambridge, Lively matter, critical inertia? Reflections on the neo-vitalist turn in geography. Recent decades have seen design shifting its concern from objects to processes, systems and futures. Design orients thought and action not towards questions of how something came to be, but rather what something might become, crafting new futures from within, rather than outside, the present (Cross 1982; Buchanan 1992). These “designerly” sensibilities are overtly and covertly reconfiguring how human-environment relations are studied across all scales, attuning urban governance around the world to a technocratic variant of the Anthropocene and to the “urban age” promulgated by complexity theory. The post-historical impulses of resilience and smartness govern the urban as eco-cybernetic systems, discarding utopias and declaring politics and planning as obsolete (Grove 2018; Krivy 2016). From New York City’s Rebuild by Design to the quantified community of Hudson Yards, from the Global South’s rare earth metal mines to post-socialist smart cities, design becomes infrastructural while channeling data and matter (Halpern 2017). The Anthropocene’s catastrophic imaginary converges with a speculative interest of academia, policy makers and corporate world in “bits and atoms,” jointly heeding not to “let a serious crisis go to waste” (Mirowski 2014). This panel session will explore the challenges and limits to design as a form of governing emergent futures in the urbanized world of the Anthropocene. What are the histories and geographies of designerly futures and who are their subjects? This panel session builds on the previous paper session to explore the possibilities of life within and beyond capitalist ruins by thinking with and/or presenting original pieces of speculative fiction. The imminent possibility of super-typhoons, tsunamis and eco-apocalyptic catastrophe provides endless fodder for media outlets and film studios that thrive off popular fears about the future (Lilley et al., 2012). From another perspective, them imagined ruins of capitalist civilization can also provide a source of escape and possibiilty beyond such apolitical, hopeless narratives; a place for experimenting with radically different scenarios (Bater, 2016; Yusoff & Gabrys 2011). It is this second perspective, and the rich vein of literary and visual work it has given rise to, that we aim to explore in this session. We are particularly interested in drawing out the diversity of progressive and radical speculative fictions: while they may share a defiant refusal of the dead-end catastrophism represented in much mainstream sci-fi, they also offer many different visions of what a more hopeful future looks like, how it will be achieved, and who or what will be involved. As well as exploring the differences and tensions between different visions of the future, we are interested in exploring the ambiguities and unresolved questions that often animate individual works and writers, and how these are brought to the surface. * How can we better understand/describe the crossovers between feminist sci-fi and experimental forms of writing emerging within the environmental humanities, particularly those that use multispecies ethnographies to explore frontiers of (post)human existence ‘in capitalist ruins’ (Tsing, 2016)? * How is agency conceived of in different speculative fictions? Who or what are the protagonists of socio-ecological change and how does this differ from (or reproduce) dominant theories of political change? * How have speculative fictions responded to the ‘limits to growth’ without resorting to dystopian Malthusianism? How do such narratives relate to/support concepts like degrowth (see Kallis & March, 2016)? * How have speculative fictions addressed new technologies without resorting to conservative reaction or techno-utopianism (Heise & Robinson, 2016, Wark, 2015)? How might such nuanced accounts inform debates and struggles around the in/justices of ‘green’ technologies? * How can we distinguish different imaginative fabrics that explorelife in (post)capitalist ruins, and from what sources do they emerge? How and where do solidarity, love, humour, and hope take root (and possibly flourish) when taken-for-granted infrastructures and systems collapse (Bresnihan, 2017)? * How can speculative fictions expand affective registers for coping in the Anthropocene – helping us feel more than guilt or sadness at the loss of species or plastic waste, for example? * How can speculative fictions contribute to decolonial and feminist engagements with (post)human existence in and beyond capitalist ruins? When Hurricane Katrina struck New Orleans, the world reacted with shock on seeing residents of this distinctive city left abandoned to the floodwaters. After the last rescue was completed, a new worry arose—that New Orleans’s unique historic fabric sat in ruins, and we had lost one of the most charming old cities of the New World. In Patina, anthropologist Shannon Lee Dawdy examines what was lost and found through the destruction of Hurricane Katrina. Tracking the rich history and unique physicality of New Orleans, she explains how it came to adopt the nickname “the antique city.” With innovative applications of thing theory, Patina studies the influence of specific items—such as souvenirs, heirlooms, and Hurricane Katrina ruins—to explore how the city’s residents use material objects to comprehend time, history, and their connection to one another. A leading figure in archaeology of the contemporary, Dawdy draws on material evidence, archival and literary texts, and dozens of post-Katrina interviews to explore how the patina aesthetic informs a trenchant political critique. An intriguing study of the power of everyday objects, Patina demonstrates how sharing in the care of a historic landscape can unite a city’s population—despite extreme divisions of class and race—and inspire civil camaraderie based on a nostalgia that offers not a return to the past but an alternative future.